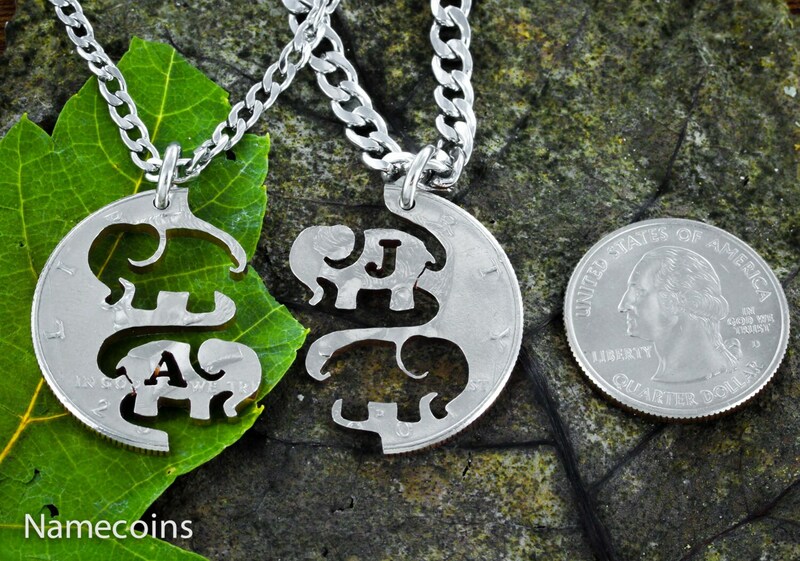 These elephant necklaces are cut to interlock perfectly with each other and are great for friendships or couples. 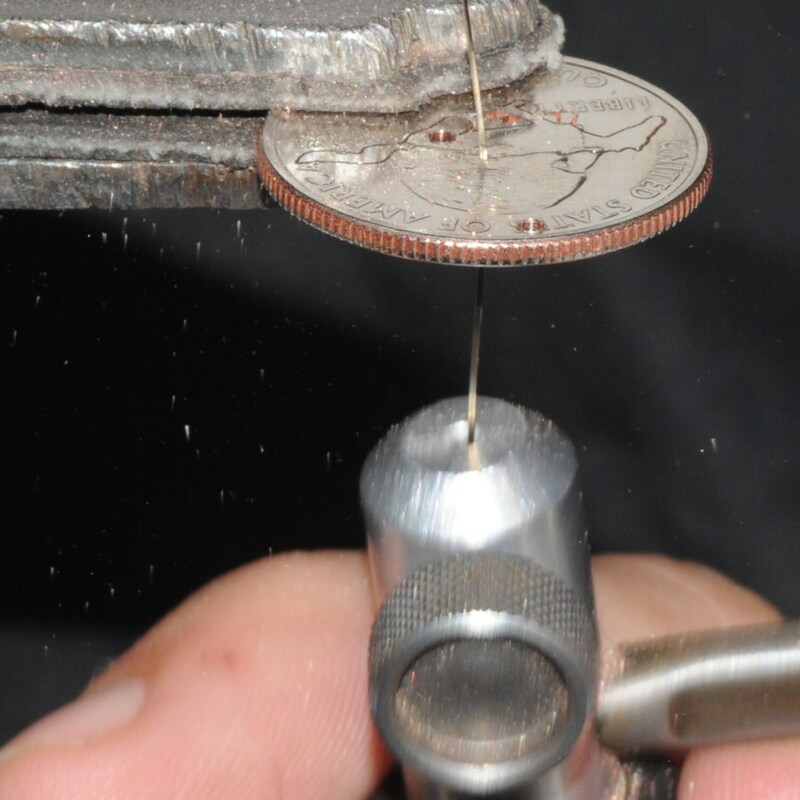 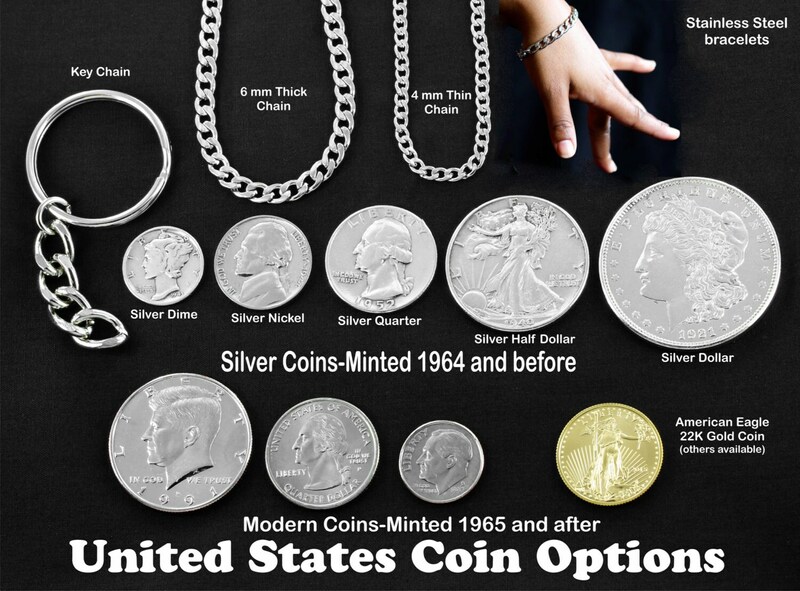 No two are alike because they are all cut individually by hand on a US Coin!!! 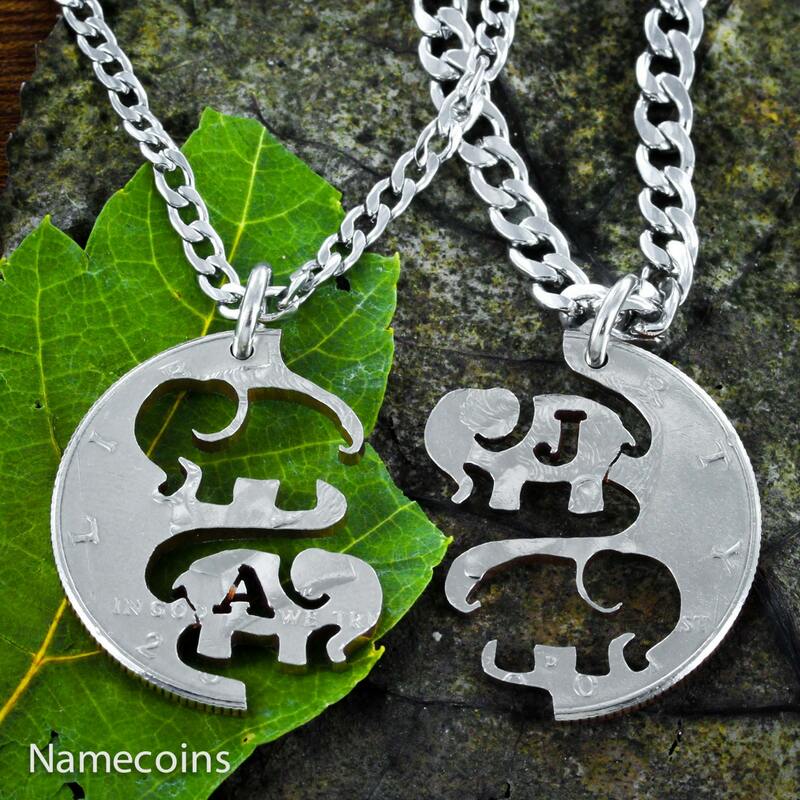 We will cut one initials on each elephant. 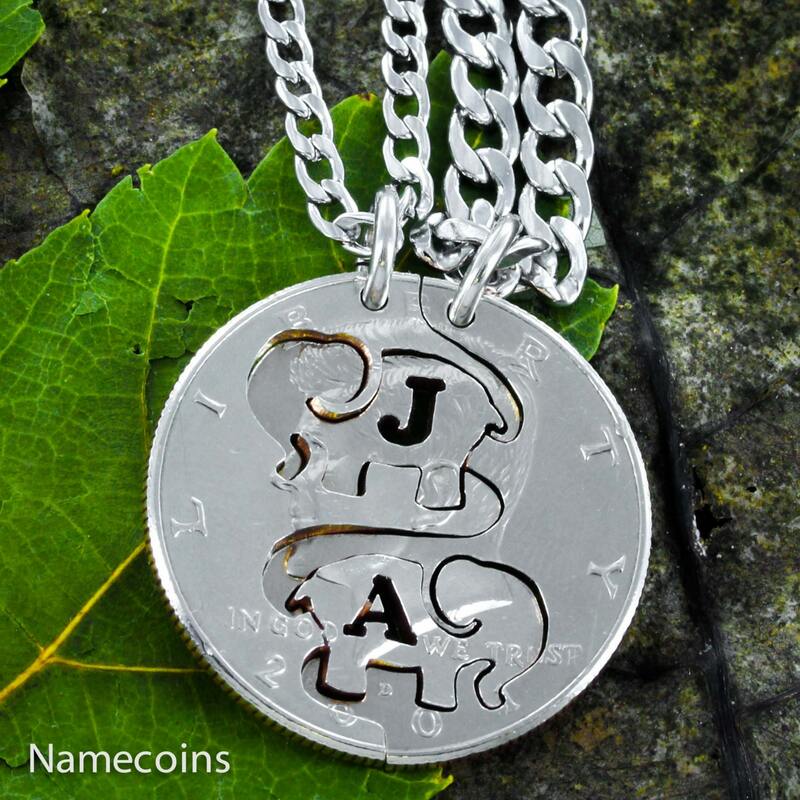 PLEASE let us know in your order comments what initial you would like on each side.